Are you curious about how a $25 loan can help alleviate poverty? Does the concept of microfinance interest you? 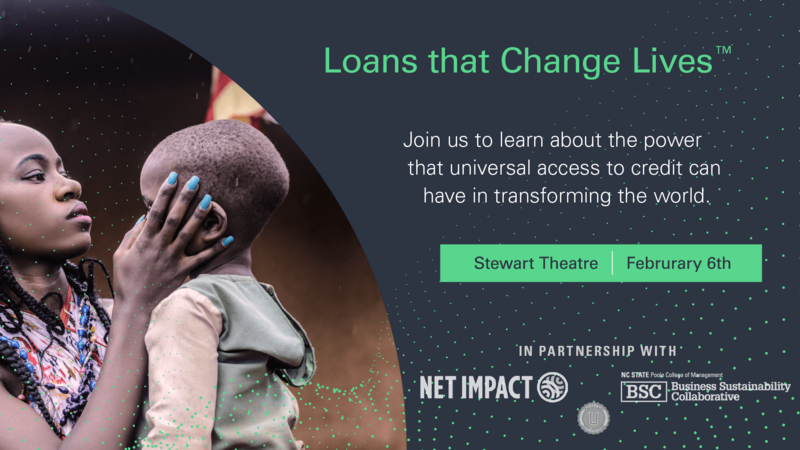 Join NetImpact in the hosting of the first-ever “Loans that change Lives” Informational Presentation at NC State! Kiva is a nonprofit organization that allows people to lend money via the internet to low-income entrepreneurs and students in over 80 countries. During the presentation, you will be given an opportunity to learn about the power of microfinance, equip yourself with the skills to lend, and join NC State’s official Kiva team so that we can change lives together!